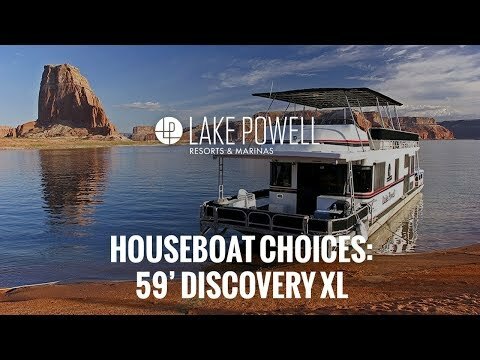 The 59' Discovery XL houseboat is a deluxe class houseboat offering many upgraded amentities for large groups not looking for luxury class prices. 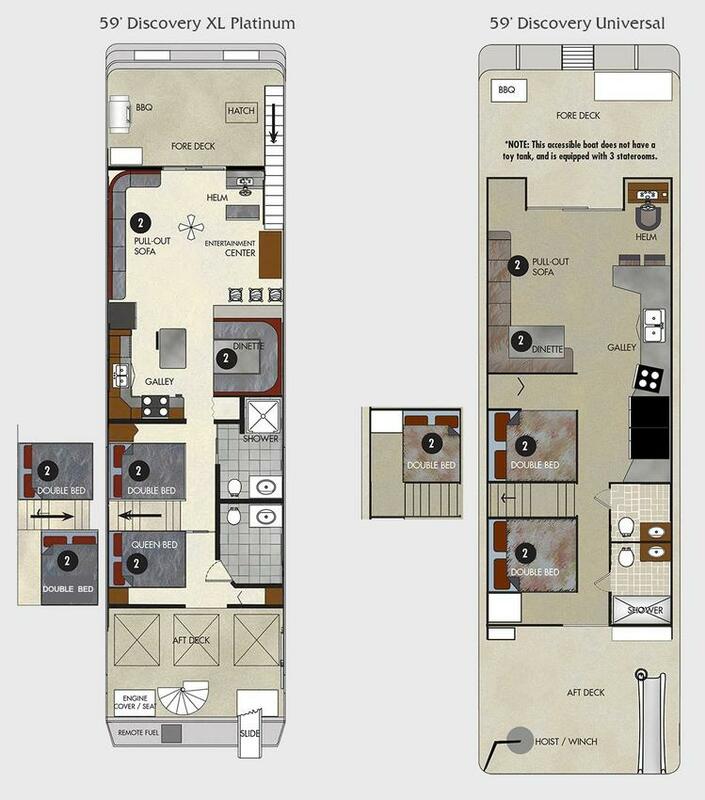 The 59' Discovery XL Platinum has additional features including a wet bar, small craft refueling tank and cushions for top deck sleeping. 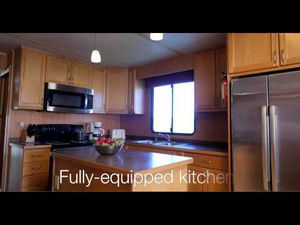 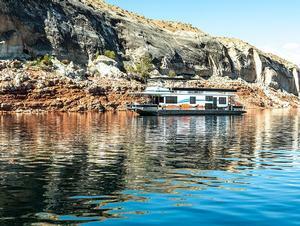 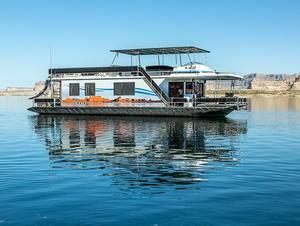 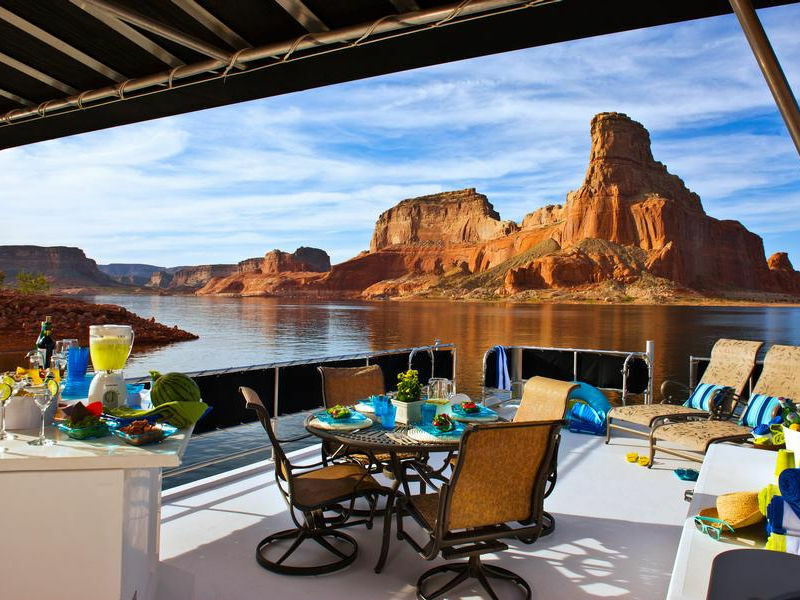 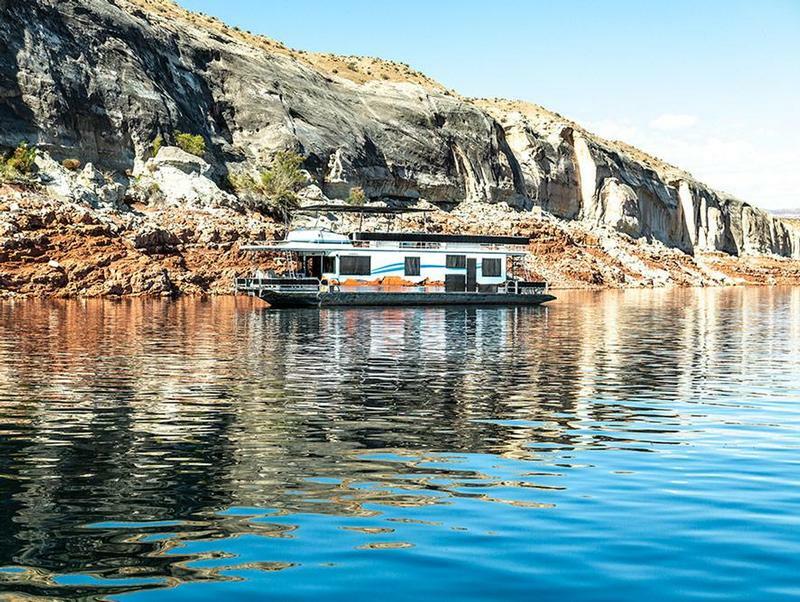 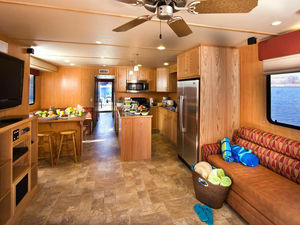 This houseboat will make your Lake Powell adventure a truly memorable one! If you're looking for a houseboat for individuals with physical disabilities please inquire with a Houseboating.org agent about the ADA compliant (Universal) version of this houseboat. Towels, bedding and cushions are all provided and there's plenty of room in the refrigerator and cooler for all the food you'll need. 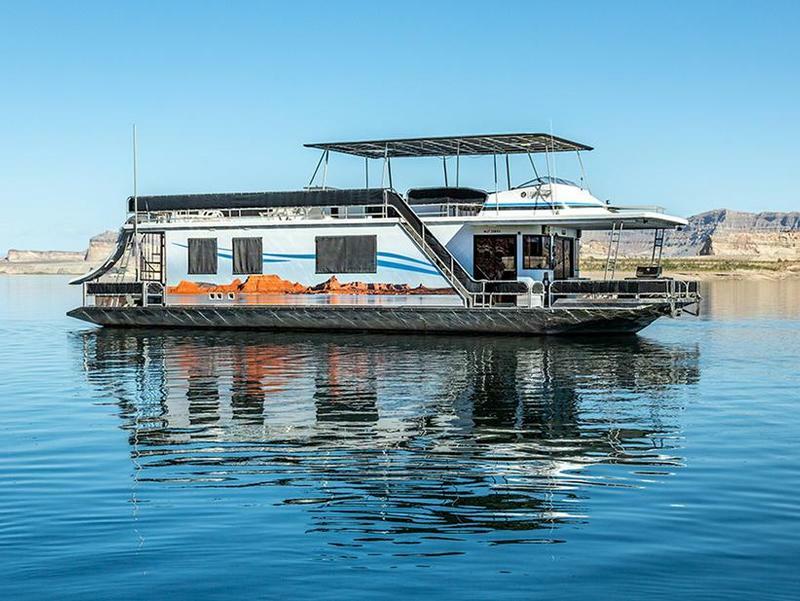 As this is a high capacity boat with room for up to sixteen people you may want to include a powerboat or personal watercraft in your vacation.